Getting married at a ski resort gives plenty of opportunity for great intimate wedding photos. 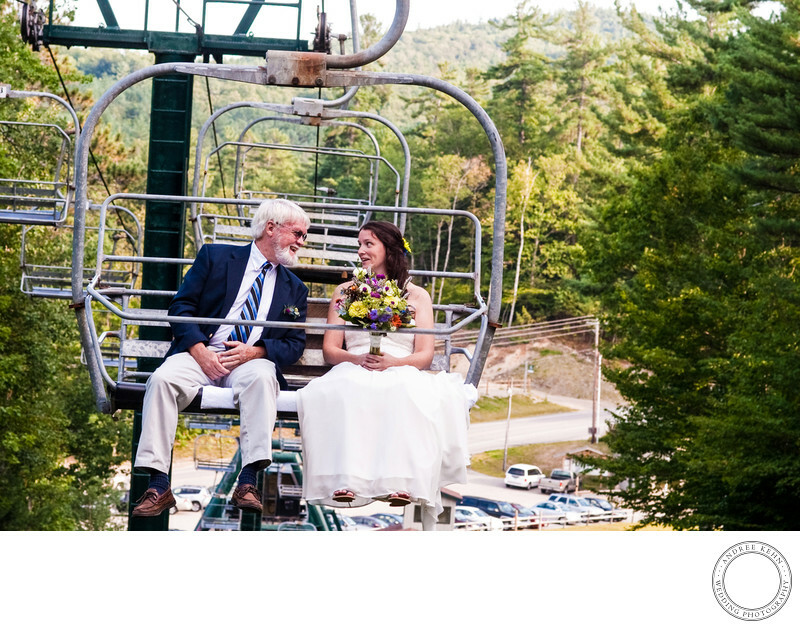 This chairlift ride with father and bride gave the two of them a nice quiet few minutes before walking down the aisle to chat and connect. You can see the father of the bride leaning over and reassuring a nervous bride. Their postures say everything. Keywords: Wedding (231). 1/250; f/9.0; ISO 1000; 85.0 mm.